$10k price improvement! 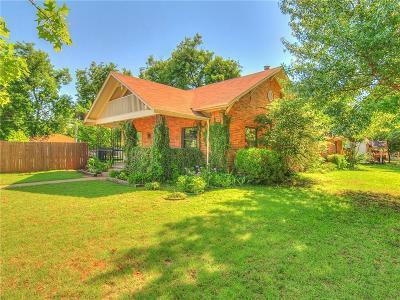 This home is just adorable! This super cute bungalow sits just across from the city park which boasts a brand new splash pad! This charming home has had many updates but maintains character in the original woodwork and wood flooring and high ceilings. The home offers 3 beds and 2 baths with a nice open layout. In the master bedroom you'll find plenty of closet space and a walk in jetted tub! The other two bedrooms share a jack-n-jill bath. This home also has a basement for storm season! Outside the home there is a large fenced back yard and detached two car garage. The yard is well manicured and features fruit trees and blackberry bushes. As previously mentioned the location on this home is just perfect for a family or anyone who would like the proximity and convenience of the local park being across the street. Make an appointment today, won't last long at this price!